IMDb has revealed a new character and cast member for the Houdini miniseries. 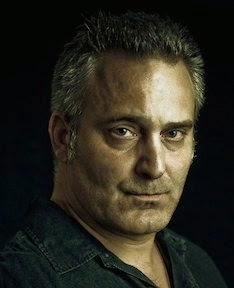 Actor Stephen Saracco will play Andy Rohan, the Chicago police Lieutenant who in 1899 manacled Houdini with handcuffs and irons in his Chicago headquarters. Houdini remained good friends with Rohan, who later arranged for Houdini to give private performances for his Chicago detectives during which he acted as Houdini's MC. Born in the Bronx, Saracco is currently based in Hungary where the production filmed last year. The actor says he's "very happy" to be part of the miniseries. In the 2006 book, The Secret Life of Houdini, much is made of the fact that Rohan was friends with U.S. Secret Service chief John E. Wilkie, and this is used to bolster the idea that Houdini worked as a spy (a theory I don't support, despite my epic respect for author William Kalush). Possibly Rohan's presence is a sign that the miniseries is going down this spy route? Or it could be that the 1899 Chicago escape, which garnered Houdini some of his first press, will feature prominently in the miniseries. Houdini stars Adrien Brody as Houdini and Kristen Connolly as Bess. The 4-hour miniseries is directed by Uli Edel from a script by Nicholas Meyer. By the way, shouldn't we be seeing some promotion on this by now? It's been reported that the miniseries will air next month. Let's get this party started, HISTORY!